I join with many in mourning the loss if B.K.S. 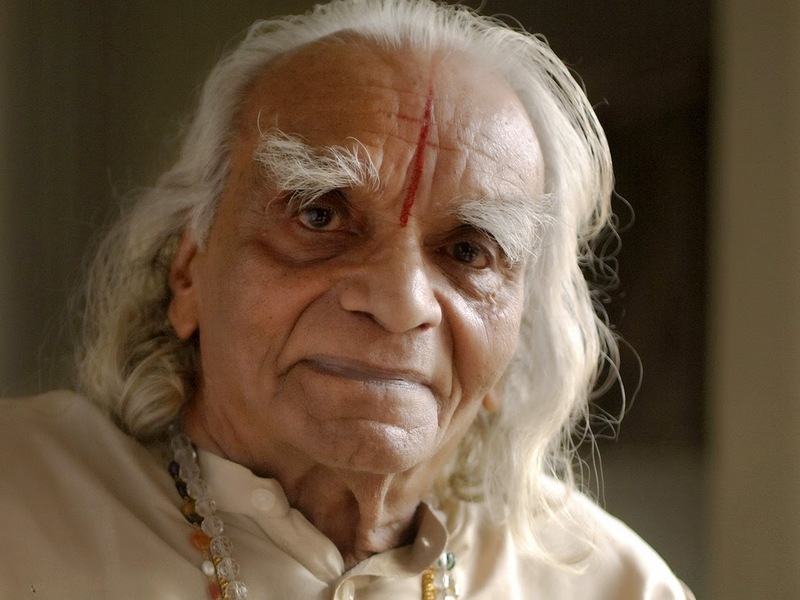 Iyengar, he changed my life when I was just 19 years old, I was lucky enough to find an instructor (and this is the 1980's) when I lived for a short time in Chicago and his practice has followed me through my life. I had been a gymnast as a young girl so when I was working and held down a job yoga was the perfect outlet for my limber body. It's wonderful today that so many young people are into yoga and moving their bodies, meditating and living a more spiritual life and this all may be due to Mr. Iyengar who practiced a full approach to yoga and didn't segment it into different practices. I would hate to think of this world without him and his teachings. I mourn the loss of Mr. Iyengar but the light that he brought to my heart and mind will always shine brightly thanks to this wonderful man, who helped so many. "We know that many of you have already been attending or planning commemorative gatherings, but we have also heard from members that they would like for there to be an event that brings us together as practitioners across the continent. I remember I was taught this about tadasana early on and whenever I stand in a queue or anywhere for a long period of time, tadasana comes to my mind and I bring my body together and meditate - Thank you B.K.S Iyengar for all that you taught me, my life would be small without your teachings. Here are some short items from NPR about B.K.S Iyengar if you are not already familiar with him and if you are lucky enough to live in Boston you can go to the Studio of Karin Stephan, she is one of the most comprehensive teachers in the ways of Iyengar (I call her my guru because somehow my life leads a path to her when I need it, and she straightens me out). 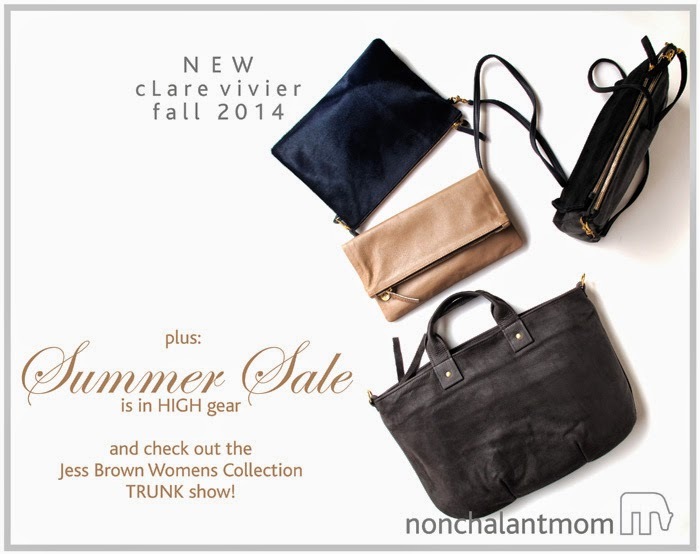 N E W :: Clare V just arrived! Our favorite creator/designer Jess Brown has made her way into womens clothing, not in the normal way -- why would Jess do that... She is making a collection of wear-now clothing that doesn't follow the rules of fashion. It's made for the person who doesn't necessarily follow fashion - she just has great style and does what she wants (so does Jess herself!). I love all of her pieces because once you buy them you will throw them on and never take them off! You might throw something else on top, like a cashmere or alpaca sweater or your favorite jacket but her pieces will become a part of you. Most of you know Jess Brown through her most delightful dolls, if you don't have one... get one! They will make you smile and there is nothing better than seeing your kids sleep with these soft and cuddly dolls. I will admit, I know some people who collect them and put them on shelves, nothing wrong with that but they make the perfect girls best friend! they fit in a backpack, they cuddle in bed and on a side note from me.. they are easy to make clothing for, kids can almost do it themselves. I suggest you start with a doll and a book, just to give your girl the idea of how these dolls become your favorite companion. Both of the books, Kiki & Coco in Paris or the new book Lulu & Pip make a great gift together with the doll! So you see how it's all about something that becomes part of your life... That's just the way that Jess is! Recently we had a short conversation about the womens collection and about her life that I thought I would share with you so that you can feel a bit of the Jess Brown life! CS: what was your inspiration to start your womens collection? JB: The inspiration for the women's collection was mainly an effort to create patterns from antique pieces that I had collected over the years at flea markets. I was wearing these irreplaceable things thread bare. Once the patterns were in the works, I had decided to change them slightly and put more modernity in to them. JB: That was totally my intension! You got it! JB: I do like cooking a lot and we are so lucky to live in Sonoma county. We can buy everything we eat locally which is so special. Lately we've been making fish tacos non stop... Summer food! We use locally caught fish, what ever is available. Then we create a marinade with seasoned rice wine vinegar, cilantro, red onion, lime. Sriatcha. We grill the fish after marinating for an hour or so. Then serve in small flour tortillas. JB: I don't follow any regime at all. I'm mostly interested in buying local and fresh. Knowing where our food comes from is what I stick to. JB: The kids are just in their teens. We generally do beach trips . This is a group of surfers! CS: Do you have certain things you can't live without in your home, like you always have a family dinner together, or you always spend sundays together? JB: Family dinner is number one on the list of what's important in my house. Especially with the teenage thing happening! I see them a bit less during the day now that they are older. Dinner is where now matter what, we all connect. Weekends are also family time. Although it's getting harder to keep that going as they are getting older. We do lots of road trips and beach days which keeps us all close. Thank you Jess for spending some time with us and we love you and the creativity that you share with all of us! Maybe you are already a pro at kickstarter or maybe this is your first time hearing about it. Kickstarter is a place to get your own business started, it's like being a mini investor. You can get the feeling of an angel investor by just visiting their website. Recently I was contacted by Emma Bowen showing off her company Najla - it's a gorgeous line of organic cotton lingerie. Watch her video here to get the idea, it might be a nice place to test out the kickstarter waters. 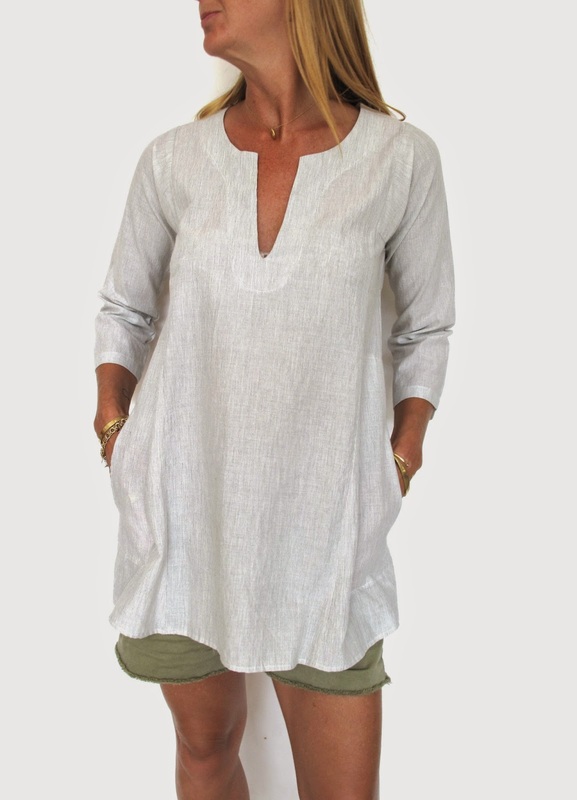 She is working with organic cotton, designing the pieces herself - made by women, for women. She offers various packages that include her production if she can get her project funded (she's pretty darn close!). here's the link... check it out!